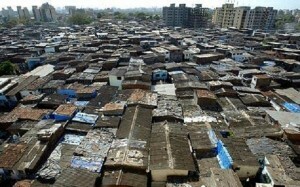 In the old town of Mumbai you can find the Dharavi slum, a place where one million people live in squalor, on less than a dollar a day. Yet just six miles from this tragedy, in a billion dollar house with twenty seven floors, lives the fourth richest man in the world, a man who’s spent years accumulating wealth whilst feuding bitterly with his only brother. This perverse proximity is a perfect lesson in the infinite paradoxes of human nature, and the moral bankruptcy of our capitalistic age, writes Shirin Sadeghi.